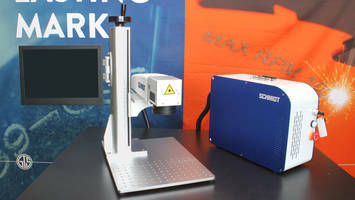 Niles, IL – In SCHMIDT’s continuing efforts to meet customers’ laser marking needs, they have added two new laser systems to their product line: the Class IV GeoMARK Eco and Class I GeoMARK Pro. With a long Z-axis travel, the 20-watt GeoMARK Eco is recommended for marking large parts unsuitable for the limited space of an enclosed laser. 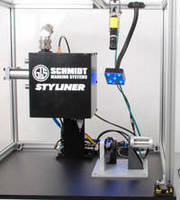 SCHMIDT’s latest Class IV model is designed to accommodate a variety of laser marking applications. 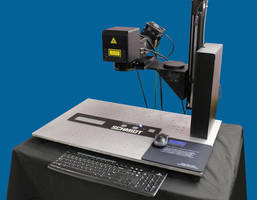 The column-mounted touchscreen PC provides convenient control of the full-featured laser marking software. The GeoMARK Eco comes standard with graduated marking along the Z-axis, ethernet and serial port connections, and a foot-pedal controller. The GeoMARK Pro is made with a painted aluminum enclosure with sleeker lines for a more modern look. 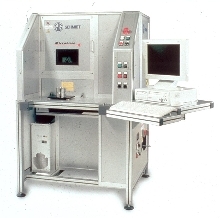 The foundation of this system is a 20-watt pulsed fiber laser with an extended frequency range and high-speed scanning. For additional power or for removing more material, 30- and 50-watt options are also available. The system marks both flat and round components. A number of convenient features are included to supplement the GeorMARK Pro’s high capabilities, such as a powered door, aiming pointer, and touchscreen controls. A desktop PC and monitor containing highly precise laser control software are also standard. The GeoMARK Eco and 20-watt GeoMARK Pro are in-stock and ready-to-ship. 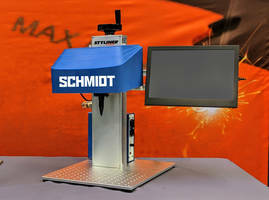 For more information, visit www.gtschmidt.com or call 800.323.1332.